Black leather with 2 buckles, cushioned fore-part. Combined leather and suede. Sewn sole non-slip adornment. Heel and toecap cloves. 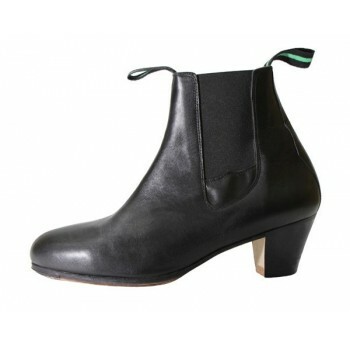 Heel 6 cm bobbin. Sizes 35/41, also half-sizes made to order only.